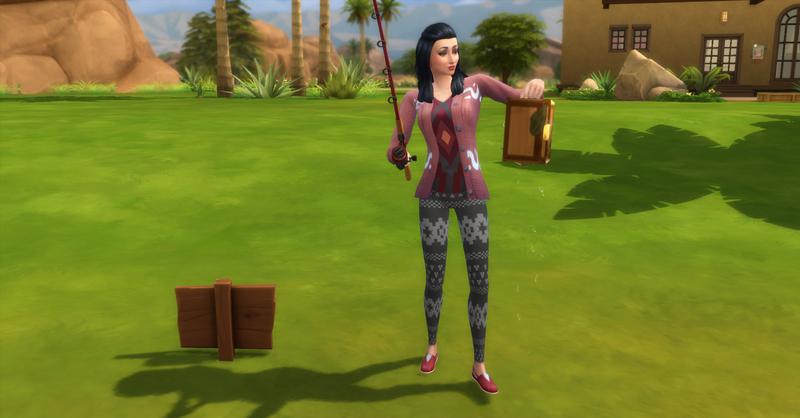 Our founder, Rosabelle has just moved into her new lot in Oasis Springs. This is Day 1 of the Rosebud Challenge! 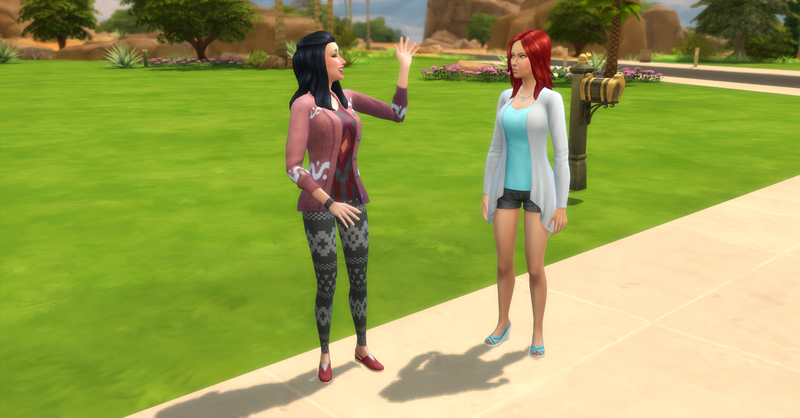 When she arrived at her lot, Katrina Caliente is there to welcome her to the neighborhood, Rosabelle says hi to her. 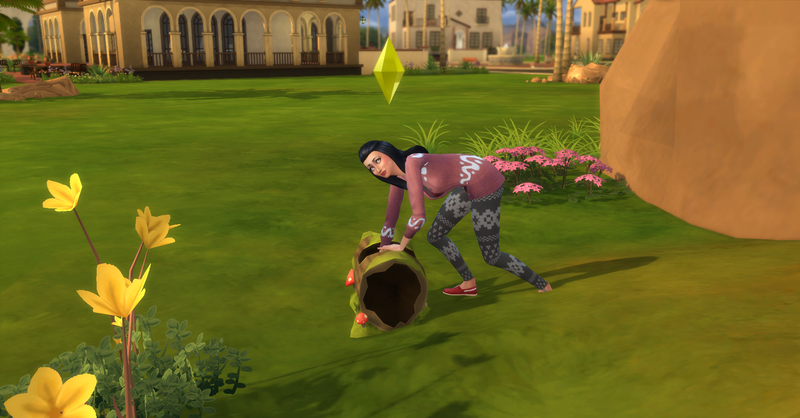 Rosabella heads out to explore the neighbor hood and start collecting items to sell. 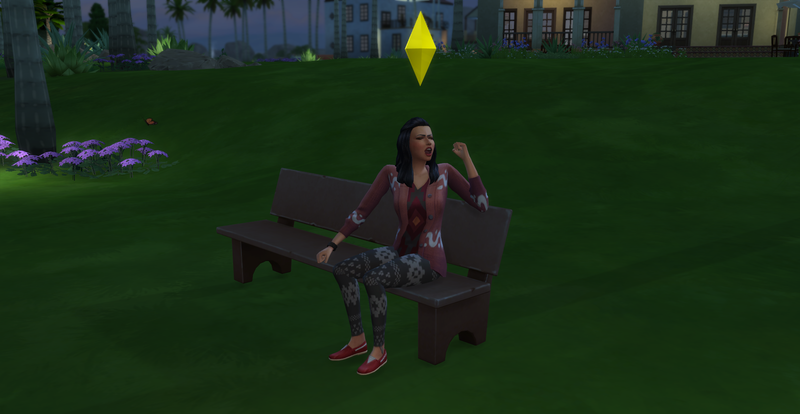 She needs to earn §500 simoleons before she can get a job. 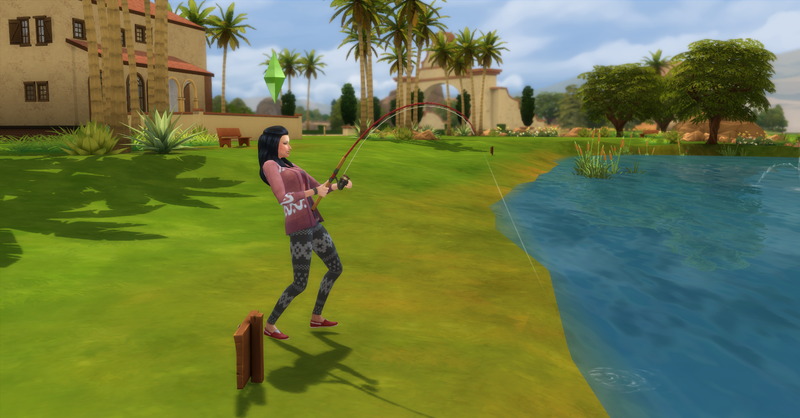 Nothing has spawned or is ready to harvest since it is a brand new game, so Rosabelle tries fishing instead. She catches a lemon first. 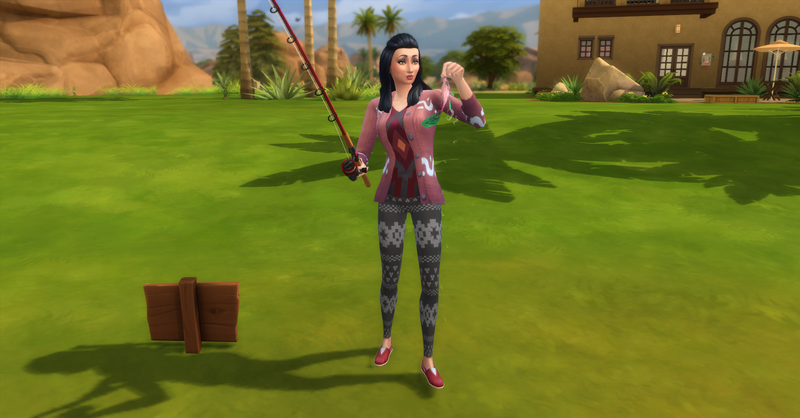 She also catches a guppy worth §5 which she sells right away to preserve its best value and freshness. 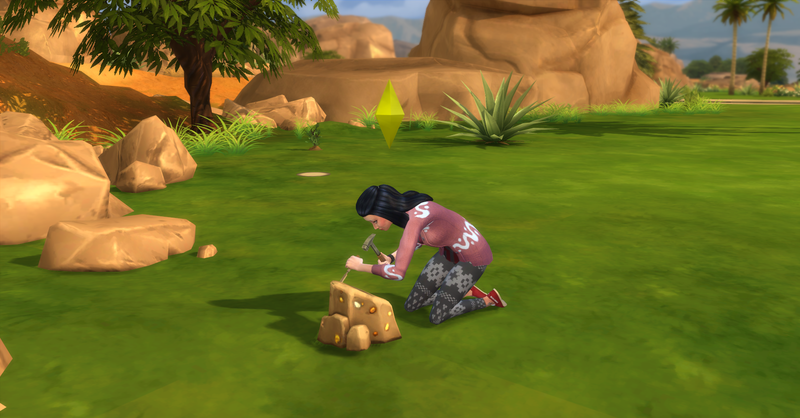 The dig sites have now spawned and Rosabelle goes around the neighborhood collecting items. She also tries to catch some frogs. 2 treasure maps §80ea, she sells one and keeps one for later. 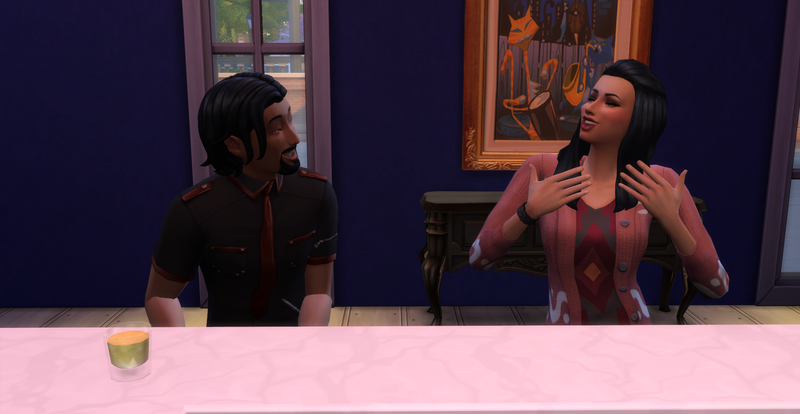 At this point Rosabelle’s hunger and bladder are getting low so she heads over to the Blue Velvet to grab some free food and use their bathroom. Maybe she will meet some new friends. She orders some free chips to satisfy her hunger. 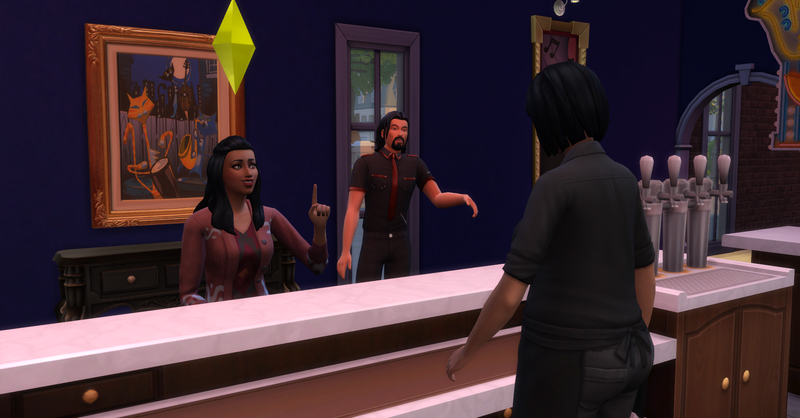 Rosabelle meets Steve Cullen at the bar. He seems nice and might be potential spouse material. 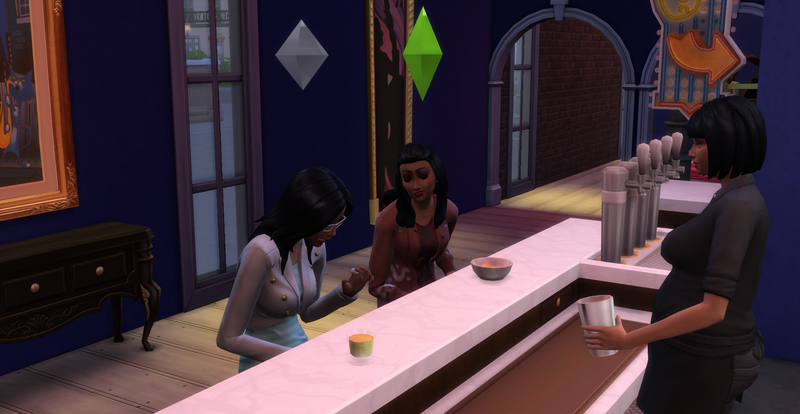 She is then rudely greeted by Angela Do and she doesn’t seem very happy about it. 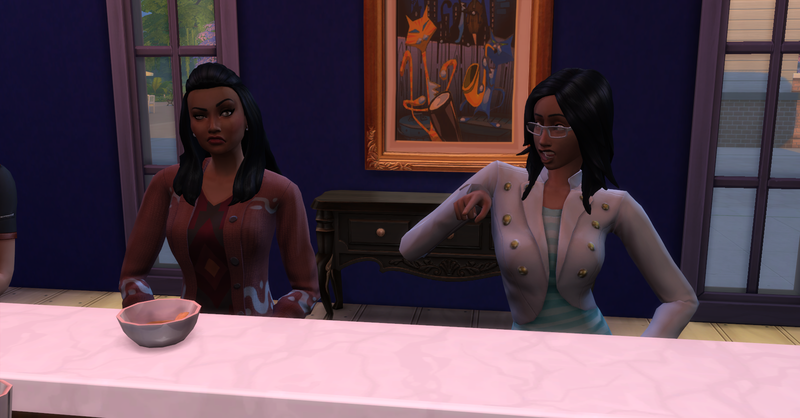 Rosabelle doesn’t react well to Angela’s rude introduction and insults her right back. 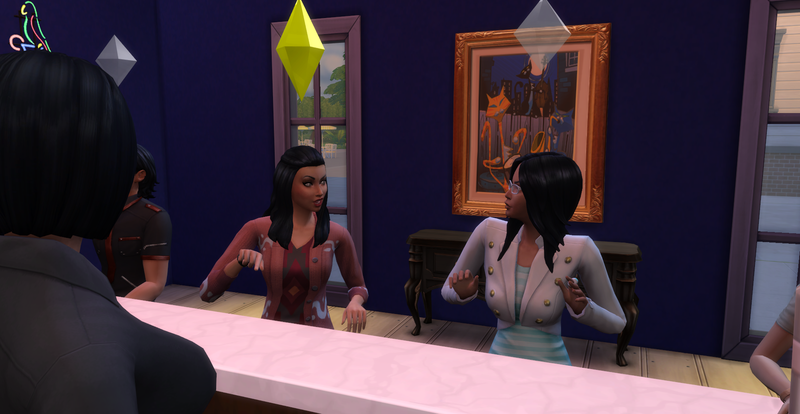 Angela tries to tell a joke to ease the tension but Rosabelle doesn’t find it funny at all. She is tired after all the excitement at the Blue Velvet tonight so she heads home and looks for a place to sleep. 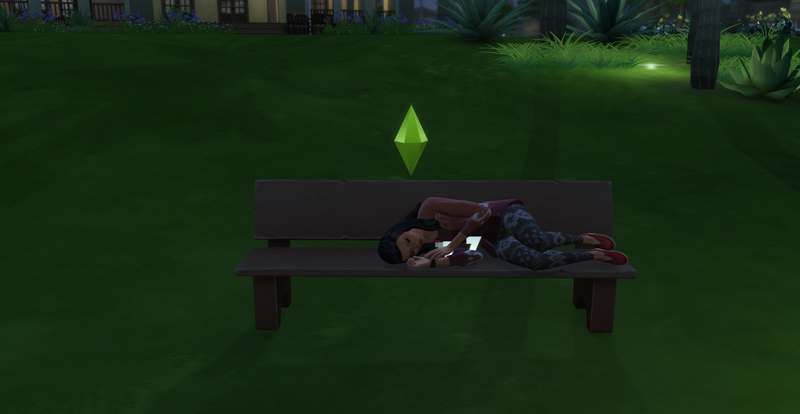 This bench looks like a nice spot to spend the night. Check back soon for Day 2 of our Challenge!